Sadly after 17 years the charity the Vega Science Trust is to close. This means that there will be no new productions on behalf of the Trust. The good news is that the existing archive of Vega films will continue to stream. The Vega Science Trust would like to thank all those that participated in the productions (the building of the website and the content), the trustees, sponsors, volunteers and staff and last but not least the Vega audience. Thank you! A short video looking at solar cells. Jonathan explains how solar cells work in generating electricity. 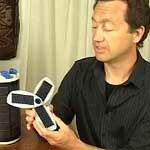 He then shows us some of the ways in which he uses solar power to enhance his work and home life. We are very happy to announce that we have just installed a new video server to enable access to Vega streamed videos on iphones and ipads etc. This came after requests from viewers wishing to watch Vega videos from ipads as part of taught science class work. The new server should also enable us to provide higher quality videos streams in future. Part 1 of the 2 part series of short videos explaining what graphene is and how it fits in with the revolution in carbon science. `The 300 Million Year War` - Biomass v Herbivores. 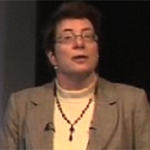 Video recorded in 2010, a University of Sussex public lecture by Sue Hartley, Professor of Ecology at Sussex University. Here Sue tells us some interesting facts about plants (Biomass) and their success in surviving herbivores (Animals). 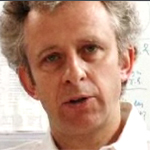 An interview with Andrew Spielman on `Environmentally Friendly Intervention and Long-term Sustainable Solutions for the Control of Malaria` has just been up-loaded in Flash format. 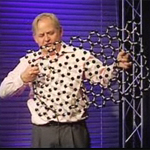 Malcolm Heggie, Sussex University gives a lecture on one of the 3 forms of carbon - graphite sheets. He tells us more about the use of carbon in nuclear energy and his research on the folding properties of graphene. 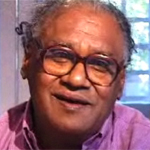 The Face to Face interview (3 videos) with Ram Rao has been re-encoded to Flash format. 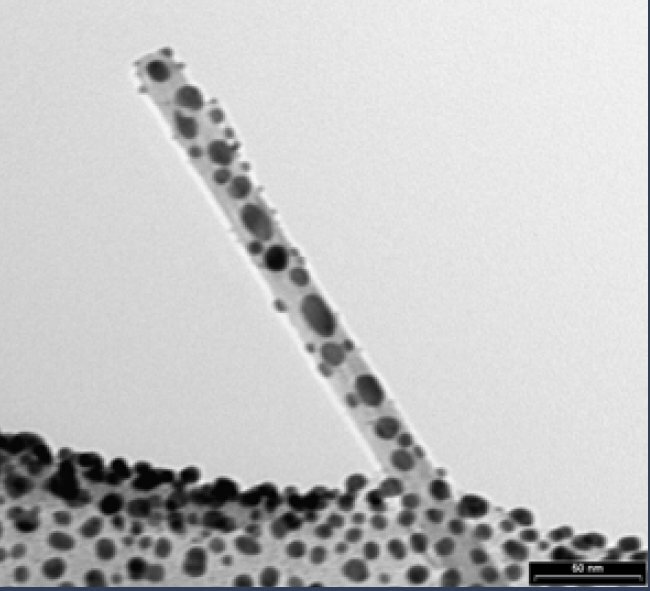 Its the end of the EU funded Nano2hybrid research project where 8 research groups over Europe set out to invent a benzene gas sensor based on carbon nanotubes. A short film summing up the project and highlighting the results of the research can now be viewed. Jonathan shows us that by attaching a simple filter to a standard digital camera we can take Infrared photographs. These can be very beautiful and also very informative. One of five modules supported by SEPnet (South East Physics Network) to aid GCSE Physics workshops and revision. 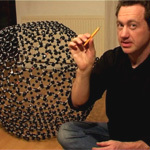 Five new mini films by Jonathan Hare of the Creative Science Centre and BBC Rough Science have been produced and added to the Vega website. 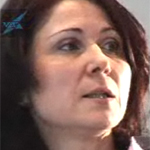 A collection of videos high-lighting women working in science from the Vega Science Trust. 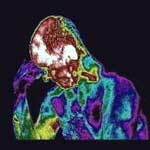 The fascinating documentary on Nobel Laureate Richard Ernst who won the Nobel Prize in Chemistry for the development of modern NMR (Nuclear Magnetic Resonance) techniques has been up-loaded in Flash format. 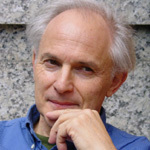 On this video Richard Ernst talks to Harry Kroto and Ed Goldwyn about his research, his family life and his passion for his collection of Tibetan art. A fantastic documentary on Pathophysiologist Gustav Born (son of Max Born) now up-loaded in Flash. 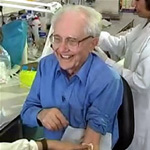 Filmed in 2004 Gus Born is interviewed by Harry Kroto and Ed Goldwyn on his research work and his unusual and interesting family background. The second in our interviews with Nobel Laureate and molecurlar biologist Max Perutz has been up-loaded in Flash. In 2000 Harry Kroto interviewed Sir Max Perutz at his home in Cambridge. 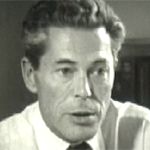 New Flash encoding of a rare interview with French Nobel Laureate and Biologist Jacques Monod. 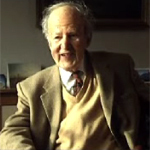 New Flash encoding of an interview with Sir Richard Friend, Cambridge University. Here he discusses his research work on conjugated polymers, time-resolved optical spectroscopy and molecular conductors and magnets. Re-encoded to Flash format! Scientist Fred Sanger is often considered the father of modern molecular biology, and is one of the few people to have been awarded two Nobel prizes. Working in Cambridge he developed a new chromatographic method for determining amino-acid end-groups. His new chromatographic results on the free amino groups of insulin were published in 1945 and the complete sequence of insulin in 1955. 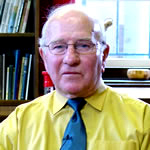 Encoded to Flash format an interviewed by Harry Kroto with scientist George Gray has contributed fundamentally to the research and development of liquid crystal materials which comprise the Liquid Crystal Displays (LCD) that are so essential to today`s information based society. 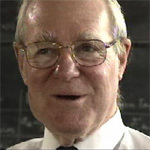 From the Vega archive of interviews with scientists, interview 1 with Max Perutz, Laboratory of Molecular Biology, Cambridge has been re-encoded to Flash format. Nobel Laureate Max Perutz discovered the structure of Haemoglobin. The Reflections on Science series has now been re-encoded to Flash format. This series features well known scientists explaining to an audience key aspects of science. 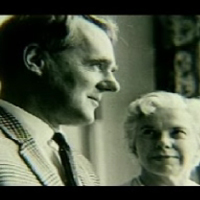 The photograph on the left is of Sir John Cornforth the British Nobel Laureate for Chemistry with his wife Rita. In his programme he disentangles an historically important puzzle in steroid synthesis and explains how to be right and wrong. The Royal Institution Discourses have now been re-encoded to stream in Flash format. The picture on the left shows the famous Evolutionary Biologist John Maynard-Smith presenting his highly popular R.I. lecture on the Origin of Life. 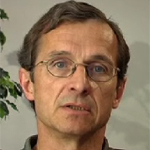 Aaron Ciechanover was awarded the Nobel Prize for Chemistry in 2004 for the discovery of ubiquitin-mediated degradation. Here he talks about his life up until and after the Nobel Prize was awarded. 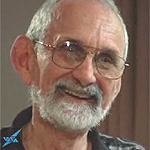 Harry Kroto interviews fellow Nobel Laureate and spectroscopist Robert Curl. Both were awarded the Nobel Prize for Chemistry in 1996 with Richard Smalley for the discovery of fullerenes. The Next Big Thing Discussions on topics such as Nanotechnology, Stem Cell Research, Energy, Ageing, Disease, Mobile Phone Safety, GM Foods have been re-encoded to Flash format for ease of viewing. 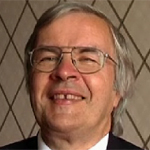 To the list of interviews with Nobel Laureates in Physics we have just up-loaded an interview with Theodor W. Hänsch who was awarded the Prize in 2005 for his contribution to the development of laser-based precision spectroscopy. 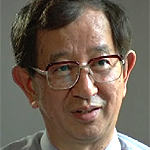 Added to the list of interviews with Chemistry Nobel Laureates is and interview with Yuan T. Lee who shared the Nobel Prize in 1986 for contributions concerning the dynamics of chemical elementary process. Just added to the list of interviews with Chemistry Nobel Laureates is an interview with Richard R. Schrock who shared the Nobel Prize for the development of the metalthesis method in organic synthesis. Artist Lita Albuquerque travels to the Ross Ice Shelf in Antarctica with a team including science adviser Simon Balm and film producer Sophie Dia Pegrum. 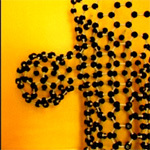 Watch how Lita`s art installation which maps the stars above the South Pole comes into fruition. The Vega Science Trust wishes Harry Kroto its Chairman and Co-founder a very Happy Seventieth Birthday! 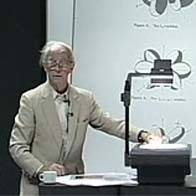 You can view videos of lectures by Harry here, here and here and see Harry in action interviewing many scientists such as Fred Sanger here. Four lectures given by Nobel Laureates Paul Crutzen, Sherwood Rowland, Martinus Veltman and Gerardus `t Hooft which recorded at previous Lindau Meetings of Nobel Laureates have been just added to the Vega website under other lectures. 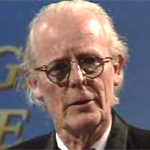 In 2006 an interview with Sir John Walker was recorded at the Lindau Meeting of Nobel Prize Winners. 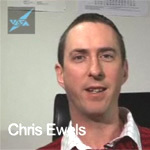 Here he discusses in-depth his background, education and career in a three part series which can be viewed here. 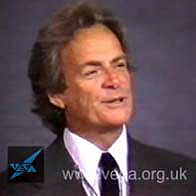 Lots of interesting blogs and articles on Bill Gates purchasing a set of early Feynman lectures to view on Microsoft`s Reseach site under the title Project Tuva this month but if you have not already watched the set of four Douglas Robb Memorial lectures recorded at Auckland University some years after the Project Tuva lectures they can be viewed here on Vega . These lectures have recently been compared very favourably to the Project Tuva lectures by some Feynman fans. 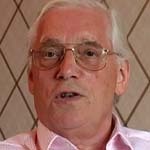 Three programmes: An Interview with Sir John Cornforth, NL, an Interview with Walter Kohn, NL and a Royal Society Lecture given by Paul Hoffman on the life of Paul Erdös have been encoded to play in Flash format. In addition a lecture given by Sir Harry Kroto at Toyo University, Japan to mark the 20th anniversary of the University and in memory of Rick Smalley who died in 2005 has been added to the website. While working on the N2H project - a research project with the aim of inventing a nano gas sensor Chris and Irene decided to make some short videos explaining what carbon nanotubes are! 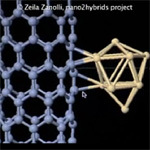 Here we learn about different carbon nano forms, how nanotubes are made, what they are used for and how we can see them. Wilson Greatbatch is attributed to advancing the development of the early implantable cardiac pacemaker. In this interview he discusses these developments. New video diaries produced by the Vega Science Trust have been uploaded to the N2H (How to invent the tiniest gas sensor?) website. To view please go to Nano2hybrids or for an quick glance at the Introduction and latest results see Vega here. In an interview with the UK newspaper - The Times, Vega Chairman, Sir Harry Kroto calls for an increase in education on the internet to help towards changing attitudes and combating climate change. Read article. View interviews and videos with six of the participants from the Nobel Symposium talking about their science and their global sustainability concerns on the Vega website. 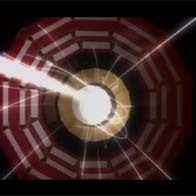 Here, here, here and here. 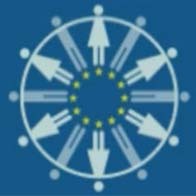 A new and exciting EU project looking at ways in which to promote women into decision making positions in science has just started. Vega was invited to make a short film on the initial meeting between scientists, departmental managers and politicians. Link to view the film here. 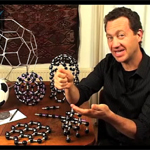 Five new instructional mini-films, Giant Fullerenes, C60 and Nanotubes, Fresnel Lens, Transistor and Electrical Generator Demonstration have been added to the existing set of ten videos already on the site. 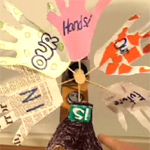 These films are intended to be used in workshops or class with accompanying information provided by Jonathan. 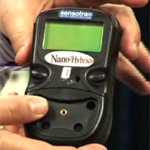 Don`t forget to watch the new video diaries from the N2H project if you want to find out how near scientists are getting to inventing the tiniest gas sensor. 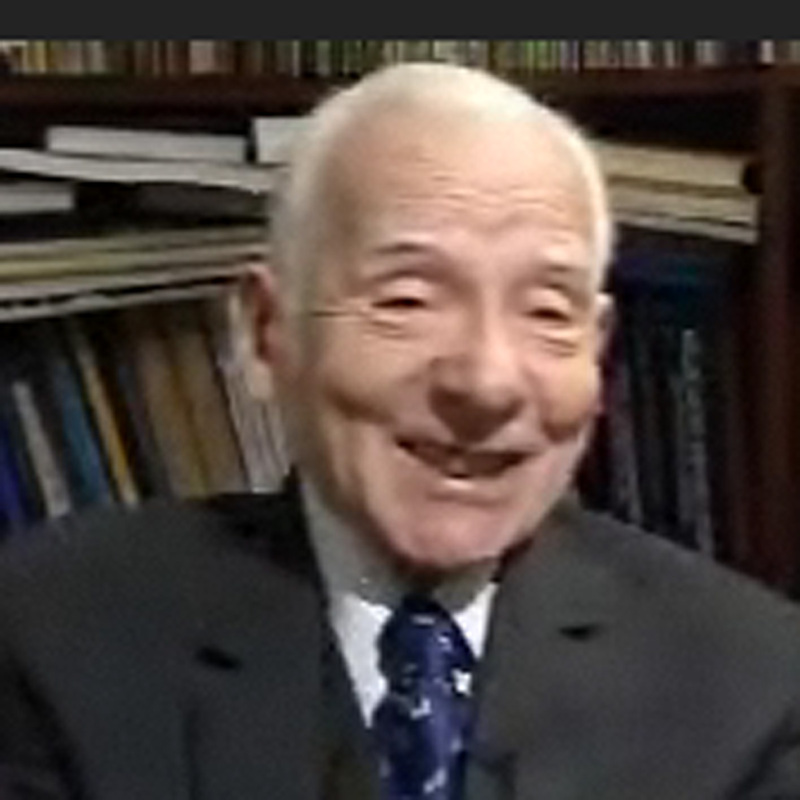 9 previously unseen and rare tapes from an interview with Sir Joseph Rotblat have been added to the website. To see review of the Vega Science Trust on Hero - the official gateway to Universities, Colleges and Research and Research Organisations in the UK. A series of 8 short documentaries licensed to Vega from the Science and Technology Facilities Council high-lighting research work being carried out at Large Hadron Collider, CERN including hunting for the Higgs and research on the Big Bang and Anti-matter. 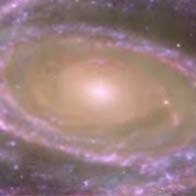 A film teaser - short documentary into the innermost structure of the Universe by produced by Martijn Veltman with Martinus Veltman as concepts provider/executive producer. A documentary to high-light an EU funded project supporting women working in nanotechnology `WomenInNano` was completed and can be watched here. 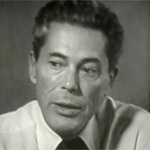 A very rare interview of Jacque Monod produced by ex-Horizon producer Edward Goldwyn has been kindly licensed to the Trust. Don`t miss it here. 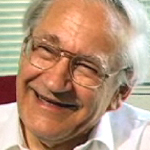 A rare film of Michael Kasha lecturing on the 7 essential highlights of Quantum Mechanical concepts in Chemical Physics recorded at Florida State University has been up-loaded here. 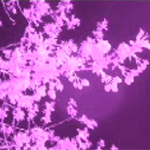 The content on this site has been re-encoded to Flash for streaming. Vega has completed the re-encoding all of content on the website to Real10 with the exception of the Rotblat Face-to-Face interview 1, thus increasing the quality of the streamed content dramatically. Work to improve and up-date the website is on-going. We now have a set of 10 instructional mini films completed. These films sponsored by the Leverhulme Trust are part of a research project on ways to use the internet for teaching. Jonathan is available to give on-line mentoring. The Leverhulme Project - we are producing a set of educational modules to be used in teaching. These can be seen at Vega Workshop Videos. In addition we are in the process or re-digitising all the programmes on the site. This work is almost complete and we hope that you like the higher quality streaming video. Three lectures have been added to the site under Vega Science Lectures. These are three lectures by Kroto, Tonomura and Woolfson recorded at the Bionanotechnology symposium which was held at Toyo University. Extensive work has taken place on the website`s server entailing the removal and re-installing of all the video material and re-installing new software. 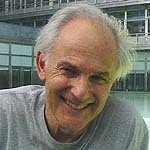 A series of 8 Astrophysical lectures by Harry Kroto have been added under Vega Science Lectures. Two Face-to-Face interviews with Gustav Born and Richard Friend have been added to the Face-to-Face series of interviews. Andrew Spielman`s Issue programme on Malaria was completed and added to the site. Many new interviews with Nobel Laureates have been added to the Interviews with Nobel Laureates pages under Chemistry, Physics or Medicine. We still have further interviews to edit and are working on these at present. 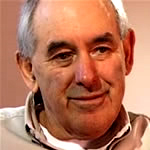 Presently Vega is working on two new Face to Face programmes on Richard Friend and Gustav Born. A new Issues programme featuring Andrew Speilman an expert on Malaria. 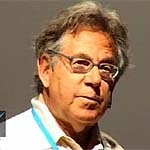 Fourteen new interviews with Nobel Laureates from the 2005 Lindau meeting. A third series of Snapshot programmes to be broadcast on the BBC in November. 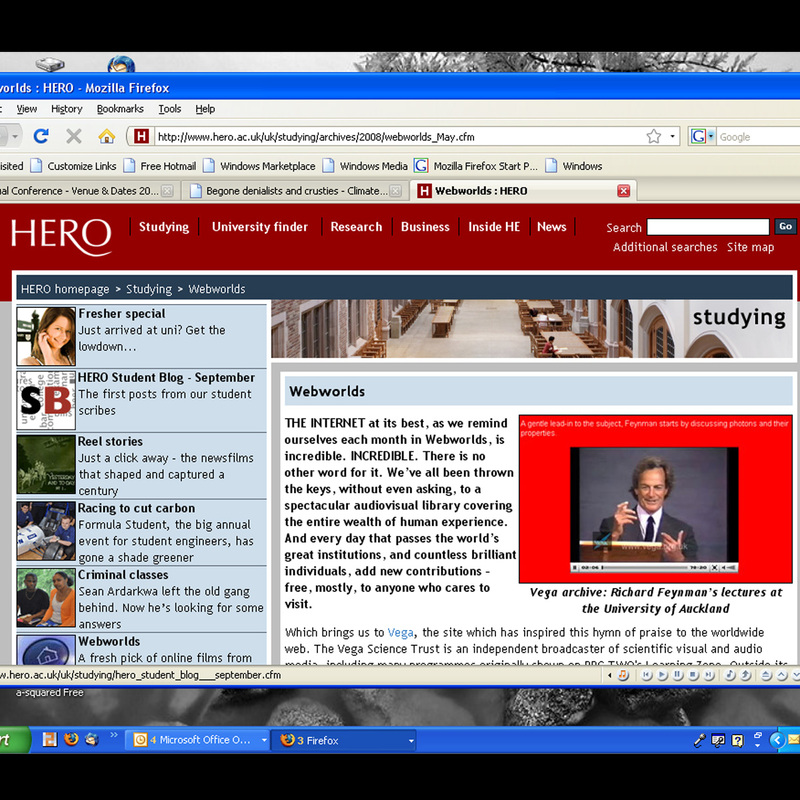 Harry Kroto and Jonathan Hare are working on Internet workshops to schools and the website is being up-dated. In addition we are experimenting with making DVDs as an alternative to VHS. The second series of Snapshots is awarded a Learning on Screen Award for the best non-broadcast production. These awards are given for excellence in production of educational programmes. The Meccano Club pages are a new Vega initiative with the aim of establishing after school engineering clubs based around Meccano. The new server has been installed and now is running 100% of the vega site.